An 88-year-old woman was dragged from her bed and assaulted by a robber who then ransacked her house. 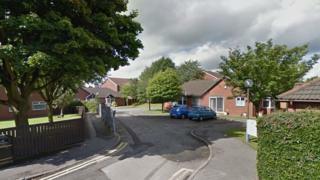 The victim was woken by a man assaulting her and demanding money at her home in Chorley, Lancashire, at about 00:30 BST on Saturday, Lancashire Police said. He then pulled her from the bed before ransacking her house. Andrew Hodgkinson, 35, of Ullswater Road, Chorley, has been charged with robbery. He is due before Preston Magistrates' Court later. The victim managed to crawl to a neighbour's house in Aspen Gardens to raise the alarm. She was treated at Wigan Hospital for non-life-threatening injuries, the force added.